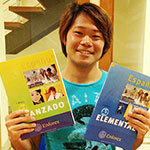 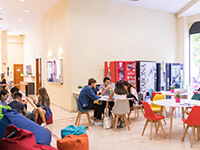 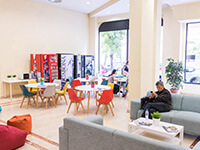 Our Spanish school in Valencia is spacious and bright, perfect for learning Spanish. 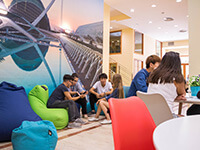 You’ll make friends with the other international students inside and outside of the school. 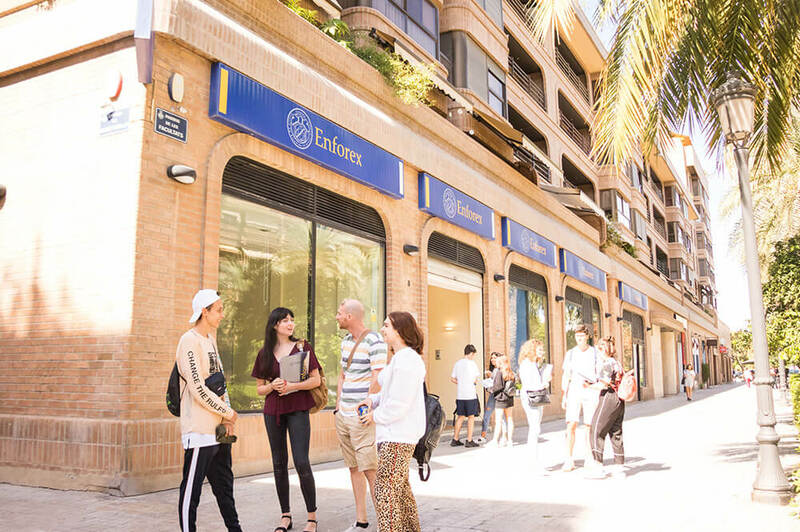 Enforex Valencia is found in the University District of the city, meaning the school and the environment around it is young and exciting. 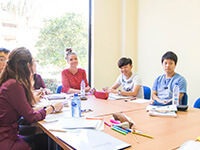 With 24 spacious classrooms filled with natural light, a large garden right outside the school, comfortable common areas and Wi-Fi throughout, excellent teachers who make each of their student’s language goals their top priority, you will enjoy learning Spanish quickly and almost effortlessly! 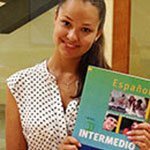 And when you leave the school head straight to the beautiful beach and exciting city center. 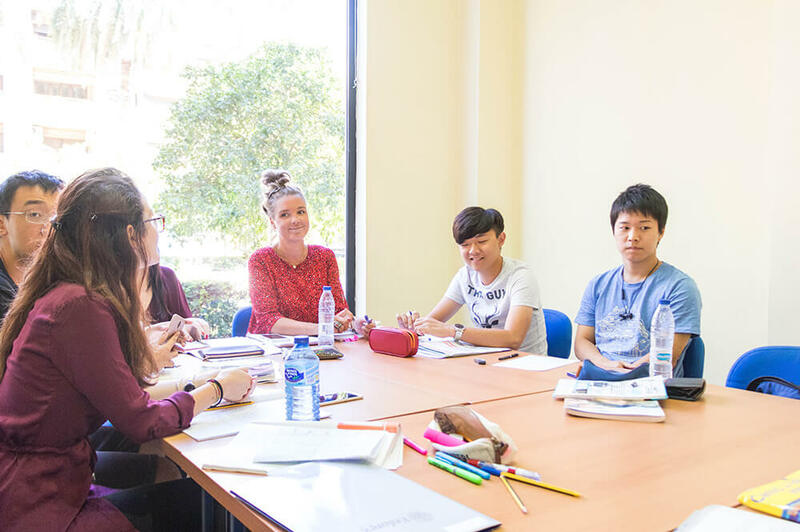 Schedule: 9 a.m. - 7 p.m.
Our school in Valencia is an ideal place to learn Spanish no matter what learning style you prefer. 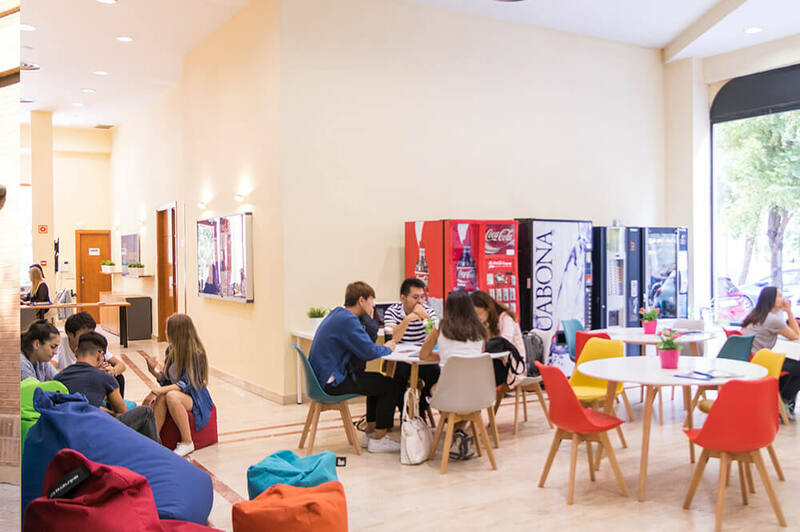 Our students can practice what they have learned after class in the common areas: learning never stops in this fun and dynamic environment, and there is always someone around who is looking for a chance to chat and make a new friend. 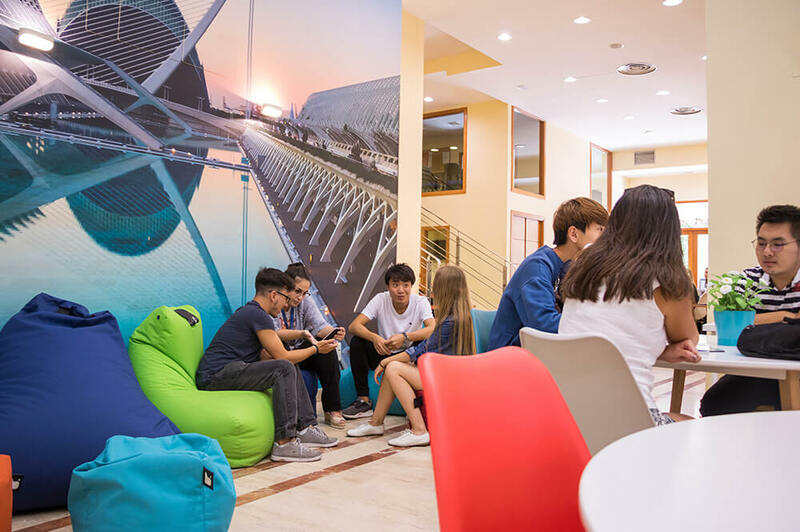 Those who come to study on their own need never worry about being able to find someone to spend time with! 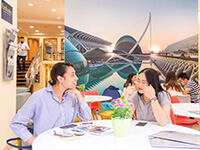 You can also go out and explore the city with your new friends if you want to, as they will be just as happy to take a look around as you will. 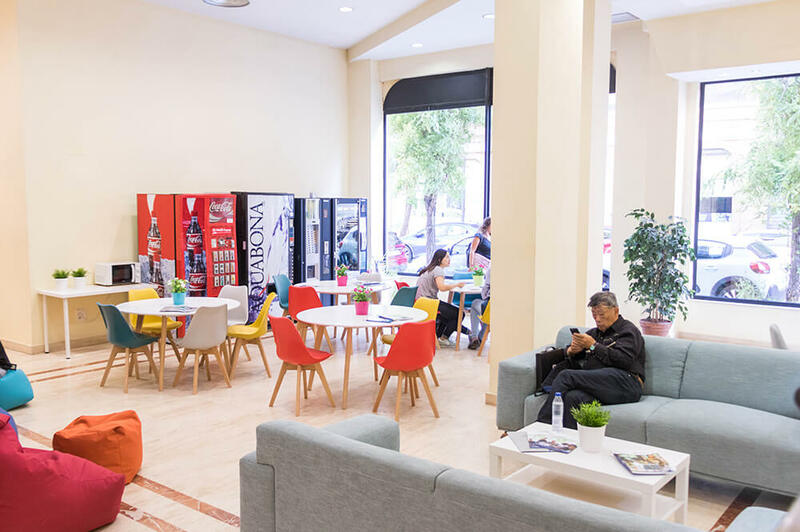 The building’s excellent location next to the University of Valencia situates the school just a few minutes from the beach and the city center, which means that it is right in the hub of the city as far as students are concerned. 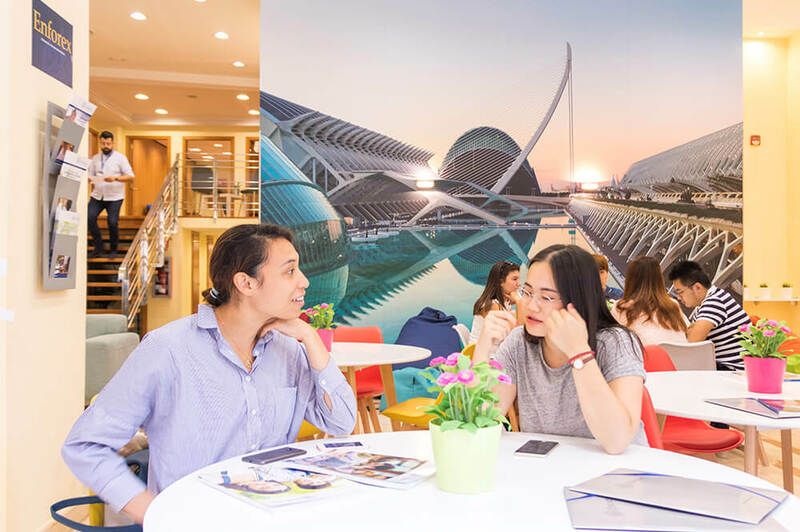 There is also easy access to public transportation so that students can easily move around and discover the rest of the city as they wish to, with or without the help of the staff at the school who often run activities and excursions out to the various attractions of Valencia. 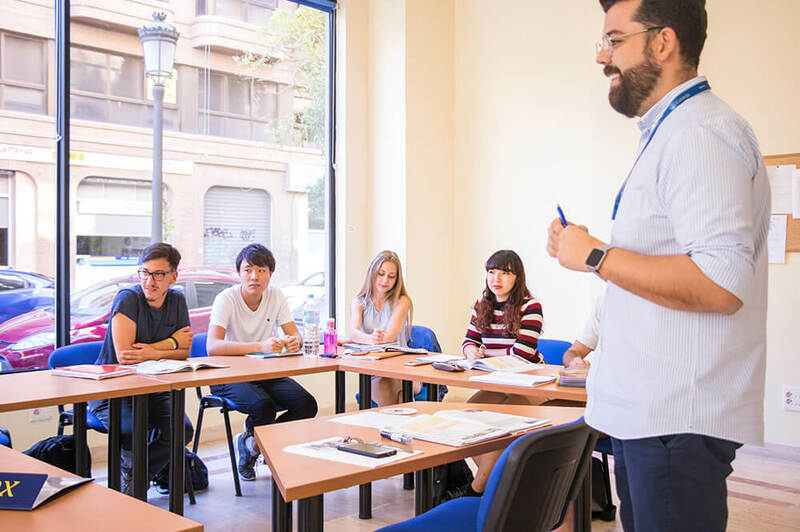 Business-related topic Spanish courses wih option to take the exam of the Chamber of Commerce of Madrid.